Neon door entry system panel all share the same circuit board. To configure the panel and system configuration (Call time, Door release time, numbering of flats etc, etc) you will need to use our Graphic User Interface (GUI). The GUI will work on any Microsoft Operating System from XP onwards. Once you have downloaded and installed the application please contact us on 0845 520 2345 to finalise the set-up. 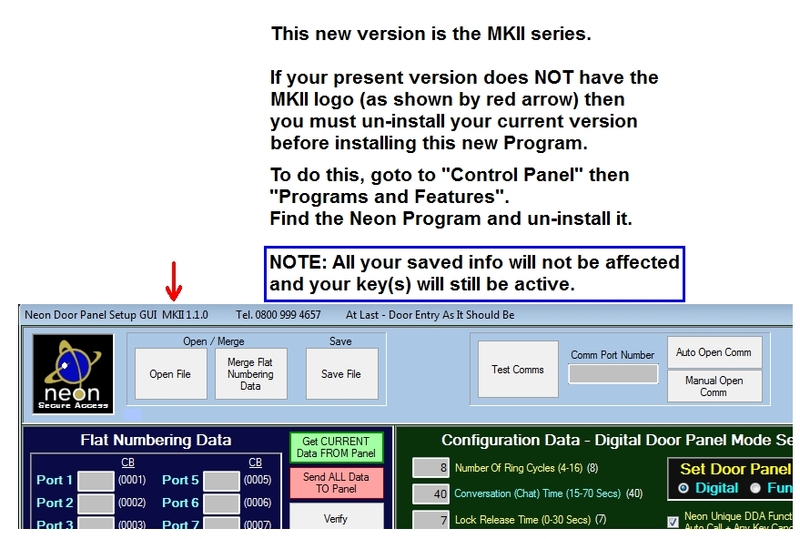 On first use you will need to add a CID code which we will provide over the phone and enable you to program your system.